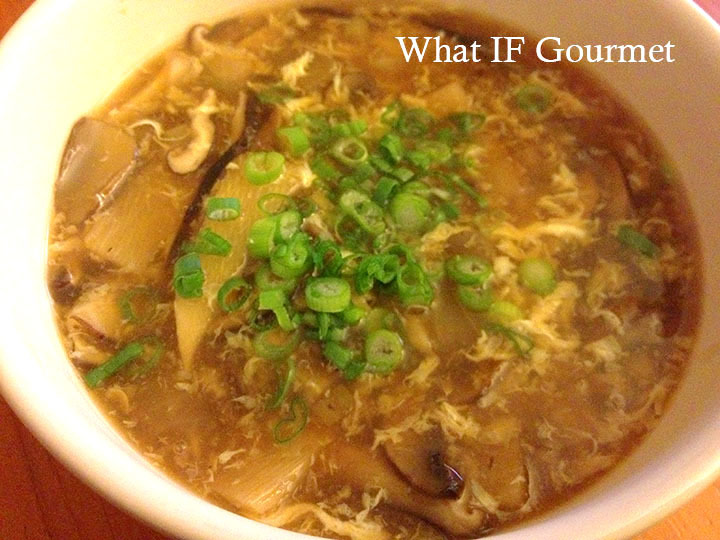 Hot and sour soup is one of those dishes that makes me feel, keenly, that food truly is medicine. The first time I tasted this soup as a kid, I was put off by its viscosity and potent tang. By the time I had graduated from college, however, my tastebuds had matured a bit, and hot and sour soup had become my go-to comfort food whenever I had a cold or was just feeling run down. The soup’s thick, silky texture feels great on a sore throat, and its heat and sour bite seem to cut through congestion and warm me from the inside. Now that I’m eating gluten-free, picking up a container of hot and sour soup from our local Chinese restaurant is no longer an option. Most recipes for hot and sour soup contain a hefty dose of soy sauce, which is usually made with wheat. My homemade version relies on easy-to-find ingredients (although I wouldn’t turn up my nose at some black mushrooms if I happened across them!) that you should be able to find in most American grocery stores, and comes together pretty quickly, because the last thing I want to do when nursing a bad cold is stand at the stove for hours on end! 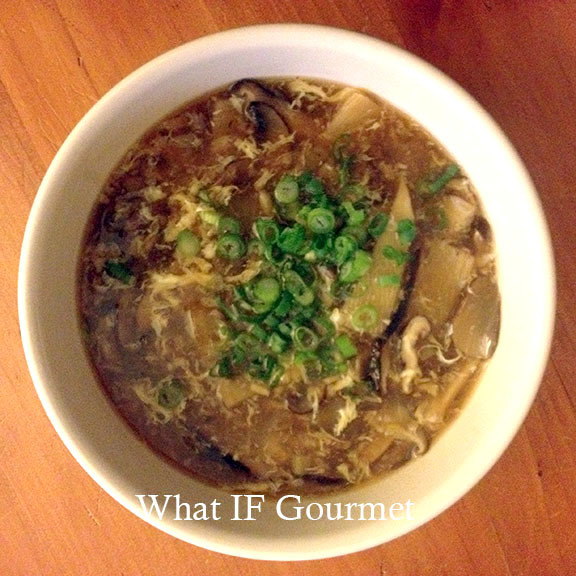 So, what makes my version of hot and sour soup “anti-inflammatory”? It’s gluten-free. An extreme sensitivity to gluten defines celiac disease, but gluten intolerance has also been linked to other autoimmune diseases such as Multiple Sclerosis (MS) and Sjogren’s Syndrome. Not all people with autoimmune disease have to follow a gluten-free eating plan, but given the most current research on the interrelatedness of food allergies/sensitivities and autoimmune disease, if you’ve been diagnosed with one of the over-100 recognized autoimmune diseases, it might be worth talking to your health care professional to find out if trying a gluten elimination diet is right for you. Mono- and polyunsaturated oils. Mono- and polyunsaturated fats are an important part of an anti-inflammatory diet. Grapeseed oil has anti-inflammatory properties and is rich in antioxidants, while regular consumption of toasted sesame oil has been linked to reduced risk of dementia, cancer, and osteoporosis. Mushrooms. For such a low-calorie whole food, mushrooms are loaded with nutrients that help fight cancer and improve resistance to chronic disease. Thanks to my autoimmune issues and the fact that I live in a northern climate, I am borderline deficient in vitamins B and D, so I eat a lot of mushrooms not only because they are delicious, but because they are high in both these vitamins. Bamboo Shoots. Bamboo shoots are rich in dietary fiber, vitamins, minerals, and essential amino acids. They also contain 2.5 grams of protein per 100 g serving. Cabbage. Like many members of the brassica family, fiber-rich cabbage offers a range of health benefits, which include antioxidants, anti-inflammatory compounds, and cancer-fighting compounds like glucosinolates. Heat the oil in a large pot over medium high heat and add the chopped onion, sliced mushrooms, and shredded cabbage. Cook, stirring occasionally, until vegetables are soft and starting to brown, about 8 minutes. Stir in the ginger, garlic, and garlic-chile paste, and cook for another minute. Add the bamboo shoots, chicken broth, rice vinegar, and tamari, stirring to combine. Bring the mixture to a boil and then lower the heat to a lively simmer. In a small bowl or cup, whisk the cornstarch into the cold water until the mixture is free of lumps. Pour the cornstarch mixture into the soup pot while stirring the soup constantly. Return to a simmer, and let cook for about 10 minutes, stirring occasionally, until the soup has thickened. Remove soup pot from heat. In a small bowl or cup, beat the egg well. Slowly pour the beaten egg into the soup pot while stirring the soup constantly, so the egg will break apart into small pieces as it cooks upon contact with the hot liquid. Garnish with sliced scallions and toasted sesame oil to taste, and serve. This soup keeps well in the refrigerator for up to 4 days; reheat gently. Makes 4 servings. 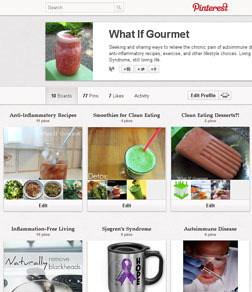 This entry was posted in alliums (garlic/onions), Anti-Inflammatory Ingredients, Appetizers, chile pepper, cruciferous vegetables, Dairy-free, Entrees, ginger root, Gluten-free, monounsaturated oils, mushrooms, Nut-free, Recipes, Snacks. Bookmark the permalink.